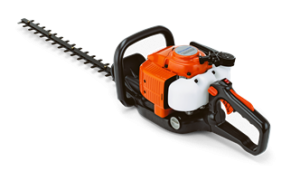 A very flexible, professional pole hedge trimmer with an adjustable cutter bar and extra long pole. The engine serves as a counterweight and makes the machine exceptionally well-balanced and comfortable to use. Especially when cutting taller hedges, without having to use a ladder or cherry picker.